One of the most important decisions for any wedding day is which venue to book. This is why we have made it as easy as possible to find your dream local UK wedding venue, simply input a postcode or county of choice and hit search. You can narrow down your search using a selection of filters unique to Wedding Venues Near Me and then contact your chosen venues directly. We have a large selection of venues from across the UK ranging from castles, manor houses, sporting venues to tranquil seaside settings. Many factors contribute to your final venue choice so it’s key before booking to find out exactly what your venue can do for you. Begin by shortlisting your chosen favourites and then get in touch directly to find out their availability. When embarking on the journey of planning a wedding it can seem a bit daunting. With plenty to organise and with so much information out there it’s easy to become overwhelmed. So, how would you like the experience and guidance of a wedding planner for your big day? The good news is we’ve teamed up with professional wedding planners and created a bespoke package exclusively for our users. The whole process works on an online basis so wherever you are in the UK we can assist. You’ll be able to arrange an initial consultation and subsequent ones leading up to the big day. This is backed up by a full set of online wedding planning tools that both you and your planner have access to. Sign up today and get a free wedding website too! We’ve built a fantastic selection of blogs and guides, all easily searchable and focus on the key topics for your wedding day. This can start from understanding which ceremony style is right for you, how to go about asking the right questions from your venue, to how much alcohol to order in for your guests! We’ve written these articles in collaboration with wedding professionals from all sides of the industry and with a wealth of experience. If there is a particular topic that isn’t currently available but you’d like covered, simply drop us an email and we’ll be happy to help. Once you’ve read through some of our articles why not brainstorm a few ideas and begin to build a picture of your perfect wedding. Take a look at our incredible selection of UK wedding venues and suppliers across England, Scotland, Wales and Northern Ireland. Get planning your wedding today! WOULD YOU LIKE A BESPOKE WEDDING WEBSITE? Here you can post all the information about your wedding for friends and family to access with ease. Simply sign up, complete the required information and we’ll take care of the rest. Weddings are such a fantastic occasion and there is huge wealth of information out there to help inspire you. We’ve done our best to create our own unique content to add to this and we encourage our venues and suppliers to do the same. Browse our collection of articles, blogs, videos and galleries to get your imagination going and feel free to engage with any of the content creators to find out more. For those looking to marry with us, we have a licence for civil ceremonies and partnerships for up to 100 guests in the grand Gallery, a spacious and naturally lit room with vaulted ceilings, golden canopies and crimson damask. The rest of the state apartments and expansive lawns offer ample opportunities to capture photographs and moments to remember. Following your ceremony, enjoy a drinks reception on the lawn or in the Great Parlour overlooking the garden whilst we prepare the Gallery for your wedding breakfast. Continue to enjoy the House for drinks, dancing and merriment throughout the night. Getting ready for your big day? Here are the bridal beauty treatments that you need. During wedding preparation it can be all too easy to focus on things that you have going on around you, rather than on yourself. However, when it comes to looking and feeling your best, it makes sense to try and take care of yourself. Which means that you should take the time to invest in some beauty treatments. So, which beauty treatments should be gracing your diary during the weeks and days before your big day? Here are what we think are some of the best. One of the most important things when it comes to planning a wedding is to choose a venue. After all, your wedding venue is what sets the scene and lies the foundations of the entire day. You may think that finding a venue is easy, however, this isn’t always the case. You can all too easily rush the decision or spend too much time pouring over all the options that are open to you. 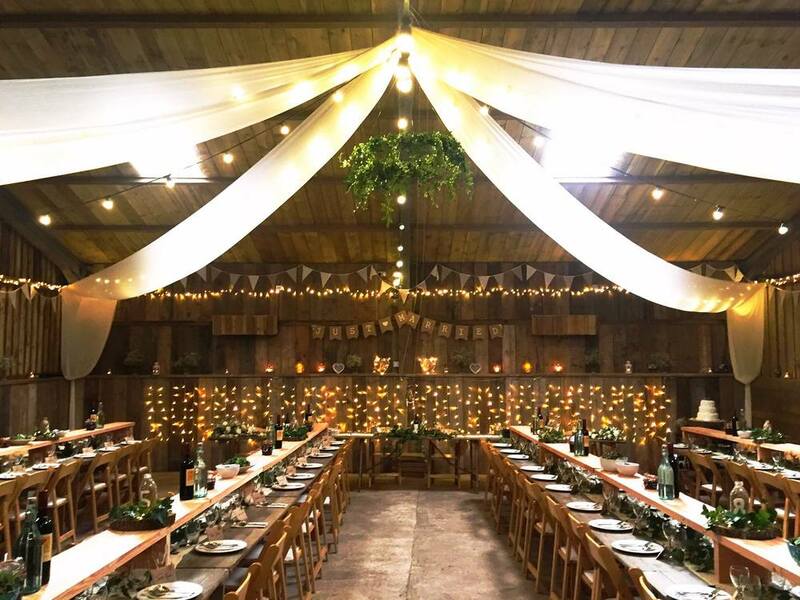 So, if you are finding the hunt for a venue tricky, why not take a look through the things that you should think about when choosing a wedding venue for your wedding day? We all want our weddings to be one that is remembered. For all the right reasons of course. However, one concern for many people is that they simply don’t have the money to be able to make it an extravagant and memorable affair. Well, we are here to tell you that you can have a luxurious wedding, without having to worry about it costing a small fortune. To show you how, we have put together the ways that you can make a bold statement on your wedding day, without the help of a whole lot of cash.